During the 1970s, a key strength of the drama department at BBC Pebble Mill was its ability to unearth new talent; not just through flagships like Play For Today, but also the entry-point offered by the likes of Second City Firsts. Running from 1973 for ten series, this half-hour slot took a chance on a spectacular range of ‘regional talent’ including Willy Russell, Julie Walters, David Rudkin, Brian Glover and many others. Just as importantly, it offered a diversity of representation that often compares favourably with today’s TV drama. 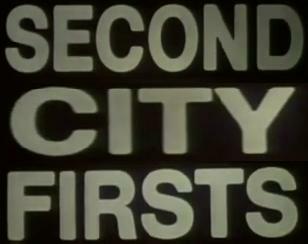 This afternoon we’re joined by Tara Prem, a script editor and subsequently series producer on Second City Firsts, to explore six very different episodes from the strand. Our first film, A Touch of Eastern Promise (1973), is not officially a Second City First, though it emerged from a very similar slot. Written by Prem herself, it’s the tale of a daydreaming shop-boy who has the opportunity to meet his favourite star. Partly shot in Balsall Heath, all the cinema scenes were captured at the now-demolished Imperial on Moseley Road. 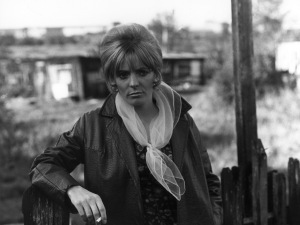 To follow, an Alison Steadman double-bill: studio-shot military drama Girl (1974), which features the first lesbian kiss seen on British TV; and then Early to Bed (1975), with Steadman smouldering on location in a depressed mill town. This claustrophobic tale of infidelity was the first television script by Alan Bleasdale, who later went on to Boys From the Blackstuff and GBH. It was at the Midlands Arts Centre where Mike Leigh first embarked on his unique approach to devising scripts, and Pebble Mill which commissioned much of his early TV work. Made a year before camping comedy Nuts in May, The Permissive Society (1975) is an overlooked gem. Also confined to a single set, Club Havana (1975) is a tense portrait of a Handsworth speakeasy by playwright Barry Reckord, featuring Don Warrington as the landlady’s son newly arrived from Jamaica and an incredibly young Julie Walters as the barmaid. We conclude with Jack Flea’s Birthday Celebration (1976), a psychosexual nightmare from the pen of Ian McEwan which is very much in keeping with his short stories of the time. 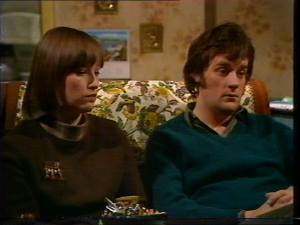 I can recall a Second City Firsts play from series 2, that was not quite as well remembered as other plays in this series. The title was Sunday Tea, it starred Sheila Kelley & an up & coming new actor by the name of Kenneth Hadley.